CM Fathom, Reprise Records and Jazz at Lincoln Center are excited to announce a special, one night concert event, September 7th at 7:30PM (local time) in movie theaters nationwide. 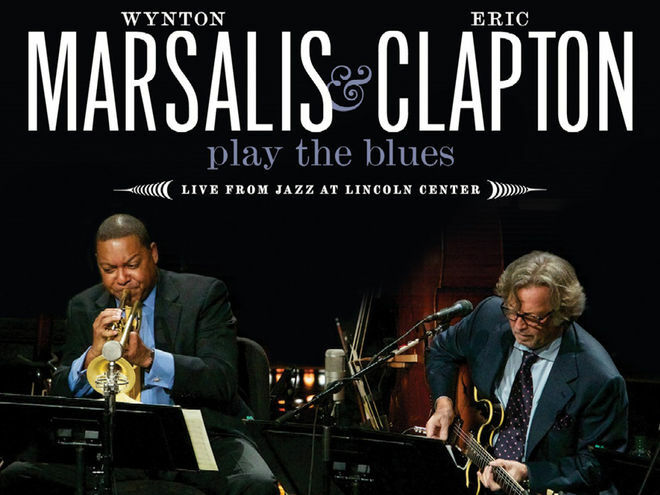 Jazz great Wynton Marsalis and guitar legend Eric Clapton come together for a spellbinding evening of blues, rock and jazz performed with a dazzling eight member orchestra, captured live this past spring at the famous Jazz at Lincoln Center. Featuring unique elements including behind-the-scenes rehearsal footage and special performances, Wynton Marsalis and Eric Clapton Play the Blues on Wednesday, September 7th at 7:30PM (local time) in select movie theaters nationwide is an event you won’t want to miss! Tickets on sale Friday 8/12. For a list of participating theaters click here.